TBQ'S Book Palace: Interview and Giveaway w/ Susanna Fraser! 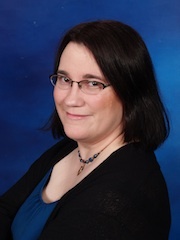 Interview and Giveaway w/ Susanna Fraser! The_Book_Queen: Hi Susanna! Can you tell us a little bit about yourself? Susanna: Let’s see, information not in the bio...I own the complete DVD set for Buffy the Vampire Slayer, Firefly, all the Horatio Hornblower movies with Ioan Gruffudd, and quite a few of the Sharpe series with Sean Bean. I spent the month before the election avoiding politics by catching up on Doctor Who on Netflix. The research bookcase in my writing office has a Napoleon shelf and a Wellington shelf. In other words, I’m a complete geek. TBQ: If you had not become a writer, what would your dream job have been? S: Something in music. In high school I wanted to be a band director, but my instrumental music days ended senior year when I developed TMJ and had to give up the saxophone in order to keep a functional jaw. I love to sing, too, and I wish I’d found a way to get formal vocal training. TBQ: Your newest release, An Infamous Marriage, came out November 5. Can you tell us a little bit about this book, and why readers are going to love it? S: When Jack Armstrong and Elizabeth Hamilton marry to fulfill a deathbed promise, the last thing either expects is to find happiness together. She’s a straitlaced vicar’s widow, and he’s a rakish soldier. He needs to learn fidelity, and she has her own lessons to learn about forgiveness, but if they can learn to let go of the past, they’ll discover that they are kindred spirits, and full of passion. TBQ: Are there other genres you would like to write about? Other time periods? S: Definitely! In addition to romance, I’d love to do an alternative history take on the Napoleonic Wars and/or epic fantasy inspired by the era. Have you ever fallen for a hero, either from one of your books or from another author? If so, who is he and what drew you to him? Oh, I have all kinds of fictional crushes! Probably my two favorites are Aral Vorkosigan from Bujold’s books and Lord Peter Wimsey from Sayers’. Aral pushes many of the same gentleman-alpha, cool-intense warrior-statesman buttons as my favorite historical crush, the Duke of Wellington, and with Lord Peter it’s all about the wits, the brains, and how hard he falls when he finally meets THE woman. Spa, because at spas you get massages. Cold winter nights, all the way. The present, actually. I love computers, antibiotics, and having voting and property rights as a woman. But if the Doctor showed up with the TARDIS and offered to take me on a research trip 200 years in the past, I’d go in a heartbeat. Blurb fan, though I have loved all my covers so far. 1. On my writing desk I have two mascots--a giant plush Appa from Avatar: the Last Airbender and a figurine of the Duke of Wellington on horseback. 2. If I ever make the NYT bestseller list, I’ve promised to take my husband to dinner at the French Laundry. 3. Lately I’ve developed a taste for bluegrass music surprising in a city-dwelling geek girl. I’ll be giving one copy of An Infamous Marriage to a commenter on this post in your choice of e-book format, and at the end of the tour I'll be giving a one commenter on the tour as a whole grand prize of a $50 gift certificate to their choice of Amazon, Barnes & Noble, or Powell's Books. You get one entry per blog tour stop you comment upon, so check out my blog for the whole schedule! If you wish to be entered in the gift certificate drawing, include your email address formatted as yourname AT yourhost DOT com. I look forward to replying to your comments, but it’ll be late in the evening in most North American time zones before I get a chance. I have a full-time 8-5 day job and don’t get much time online till the evening. Leave a comment for Susanna. Giveaway Ends 11/26 -- Good Luck! Susanna: At the end of the tour I'll be giving a one commenter on the tour as a whole grand prize of a $50 gift certificate to their choice of Amazon, Barnes & Noble, or Powell's Books. You get one entry per blog tour stop you comment upon, so check out my blog for the whole schedule! If you wish to be entered in the gift certificate drawing, include your email address formatted as yourname AT yourhost DOT com. Thanks for stopping by, Susanna! :) I enjoyed learning more about you, and I look forward to reading your books! Congratulations on selling your novella! Will it be related to your current series? Hi, Susanna! I love all your blog stops. I am learning lots of interesting things about you. Looking forward to reading AN INFAMOUS MARRIAGE and your other books. Thanks for stopping by, everyone! The novella isn't related to my current books, but it looks likely to have at least one sequel. Oh, and while it still lacks a title, it now has a release date--7/29/13. Sounds fantastic! Thanks for sharing and congrats on the newest release! I saw that you read Lauren Willig and was wondering if you have read all her pink carnation series? Sounds like a great book! Love marriages of convenience stories! I love reading stories where two opposites are thrown together. AN INFAMOUS MARRIAGE looks absolutely wonderful. I enjoyed the interview thank you.